Hey all! 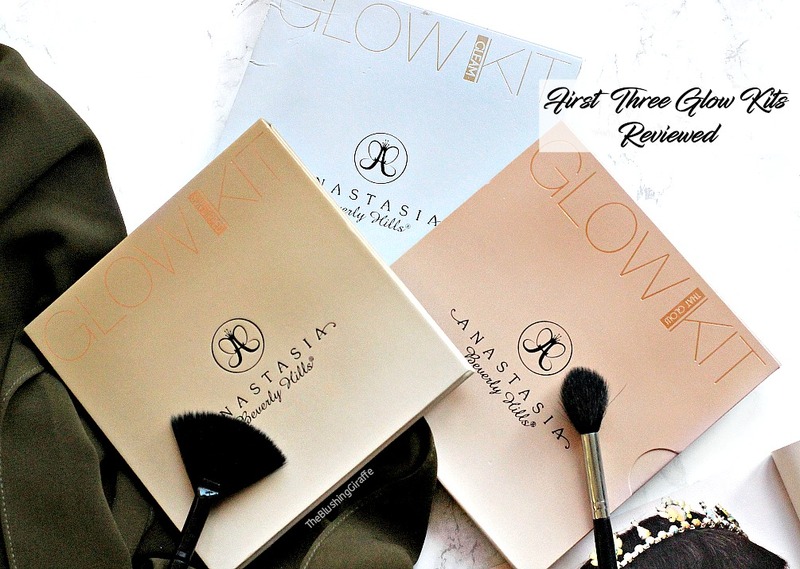 Time for another Top Three, this time with my favourite nail polish shades for the season. I don’t know what it is about autumn, but it brings out the vampyness in me, especially when it comes to the nails. I don’t always find it easy to choose nail polish colours which are complimentary to my warm skintone, some shade just look so off! These three however are my go-to, ride or die shades, y'know the the ones which just look on point every single time? These are those.. This is one of my favourite purple shades to wear all year around, but in the autumn time I like to mix it up with a bit of gold detailing here and there. I adore the shade Aubrey for some reason, maybe that it makes me start humming hotling bling? ?, but this creamy mauvy-purple colour looks so beautiful against a warm skintone! The formula of this is great, on par with O.P.I for sure and with two coats I find it lasts well for at least 5 days with no chips or flaking off. The only blue shade that I really like on my nails is this type of deep royal blue. Again it looks so striking against olive skintones and makes a nice change from my usual purples. I LOVE the 'maxi' brush from this line. When I first pulled it out I thought it would be much too thick and messy to use, however it somehow makes it easier to apply the polish?? It cover the whole nail efficiently and there are no bits to fill in afterwards, which is the case with smaller fiddly brushes. Finally a gorgeous deep purple shade which can be built up and turned into a even darker purple with an extra coat. 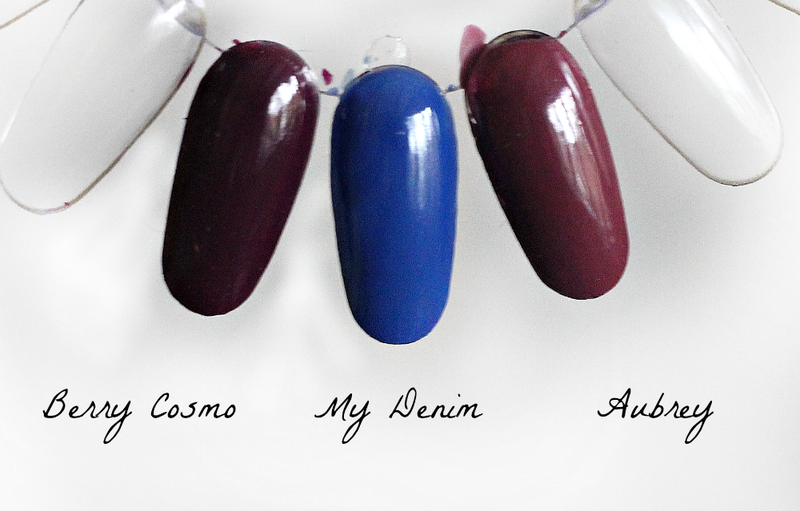 Berry Cosmo takes around two coats minimum to get a nice opaque colour and without a topcoat it lasts a decent amount of time. This colour is the most vampy of them all and looks stunning alone, but even better paired with some nail accessories (I shall link you a throwback post below!). The Barry M formulas are awesome for the budget price and you can normally pick them up in a 3for2. 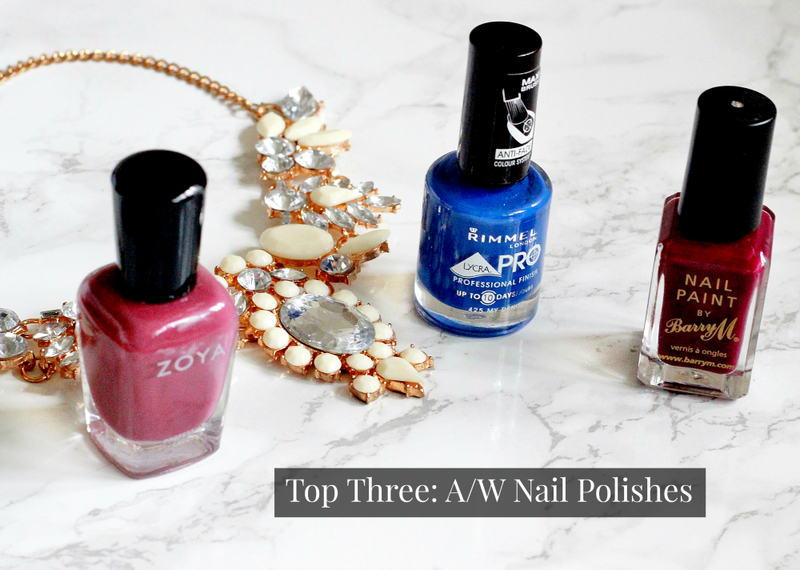 Those are my top three nail picks for autumn! Do you have any favourites?